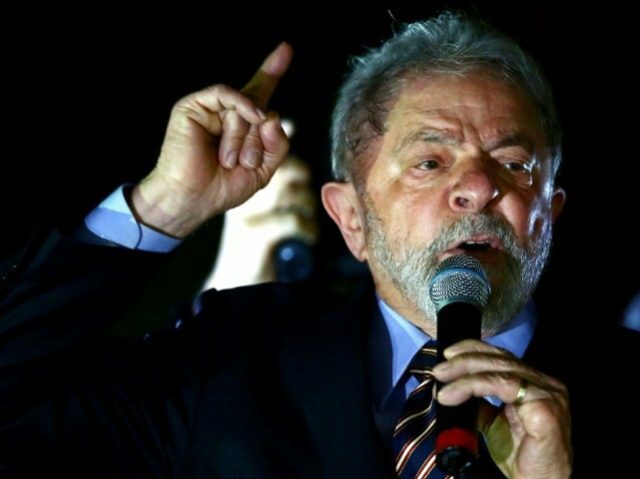 A majority of the three judges presiding over his case in Brazil’s appellate court have not only upheld a ten-year prison sentence for former president and current presidential frontrunner Luiz Inácio Lula da Silva, they have demanded that sentence extend to twelve years. The PT has called for street protests in support of Lula. At press time, only two of three judges on the appellate court have voted to uphold the sentence, but the court only needs a simple majority to do so. Federal Judge Sergio Moro, who has become a hero among anti-corruption protesters in the country, sentenced Lula to almost ten years in prison in July after prosecutors argued that Lula had personally benefitted from “Operation Car Wash.” The Operation required politicians to hand over vastly over-charged government contracts to private contractors, who would then pocket part of the profits and kick some of the money back to the politicians. Lula was found guilty of using some of the money to buy a beachfront “triplex” property, and of laundering the money once he received it. The day after his sentence, he announced he was running in the 2018 presidential election. “If someone thinks that, with that conviction, they got me out of the game, they can know that I’m in the game!” he told supporters. Lula still has a final right of appeal and will be allowed to run for office if his sentence is ultimately overturned. The head of the PT, Senator Gleisi Hoffman, called for street protests after receiving word of Lula’s sentence. The two men officially remaining in the 2018 race, should Lula’s sentence be affirmed yet again, are former president Fernando Collor de Mello—who defeated Lula in the 1989 presidential race only to be impeached into resignation—and conservative lawmaker Jair Bolsonaro. Brazilians go to the polls in October.